Kuala Lumpur, 16 December 2016 – From epoch to epoch, the variety of the most desirable gifts has changed over time. As man evolves, their curiosity for technology deepens with innovative gadgets becoming an essential part of almost everyone’s daily lives. 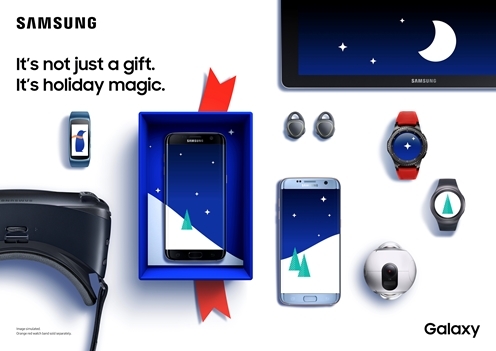 So to enhance our day-to-day lifestyle this holiday, Samsung Malaysia Electronics is putting together the ultimate holiday gift guide – featuring devices that aren’t just great gifts, they open a galaxy of possibilities this festive season! What’s even sweeter is that Samsung is offering these exciting devices at fantastic prices via the mySamsung app! From 19th December 2016 until 19th February 2017, Samsung fans can enjoy instant rebates of RM300 for purchase of the Galaxy S7 and S7 edge. Additionally, to celebrate the official launch of the Gear S3 in Malaysia, Samsung is offering two (2) additional watch straps in different colours and a limited edition watch collector box with every purchase of the Gear S3 Frontier or Classic. For the fitness enthusiasts, Samsung has just the perfect on-the-go devices for you. The Gear Fit2 allows you to get the most out of your daily workout routine. An advanced fitness tracker, the sleek Gear Fit2 is embedded with a standalone GPS, heart rate monitor, gyro and barometer that provide instant feedback on workouts when paired with your smartphone. The Gear IconX on the other hand, are cord-free earbuds that can track fitness information and provide feedback on running performance, perfect for those who wish to exercise without restrictions. Designed to fit snug in your ears in the most comfortable way, you can run, jump and carry out your usual workout routine without worrying about them falling out. For those who love travelling but can’t make the time to do so, the new Gear VR may just be the ideal device. The new Gear VR, powered by Oculus, allows the flexibility to experience a whole new world in 360° premium virtual reality, from almost anywhere when paired with the latest Samsung smartphones. Now in Blue Black colour, the new hue not only enhances the device’s aesthetic, but it also helps to prevent light reflection to provide a more cinematic experience than the previous model. With two different device holders USB Type-C and Micro USB, the new Gear VR is compatible with even more Samsung smartphones, including the Galaxy S7, S7 edge, Note5, S6, S6 edge and S6 edge+. For those who take joy in capturing and sharing fond memories and unique experiences with loved ones and friends, the Gear 360 is a new, innovative way of doing so. With a light and compact, spherical-shaped design, the Gear 360 allows you to easily capture, edit and share snippets of your favourite experiences instantly on social media. Leveraging on the best of the Samsung Galaxy experience, users can now become the creator of their own virtual reality content, then share with friends via platforms such as YouTube 360 and Facebook, and relive the moment with the ultra-immersive new Gear VR. Need we say more? 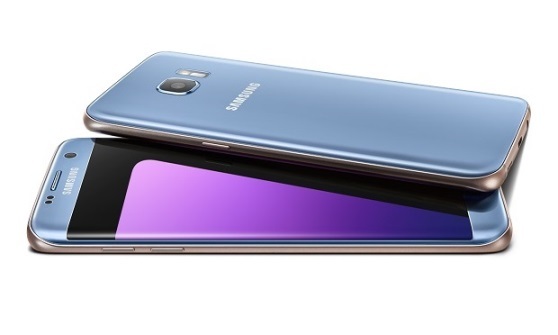 Packed with great features and backed with powerful performance, the Galaxy S7 and S7 edge make consumers rethink what a phone can do. The first smartphone ever to apply Dual Pixel Sensor technology with wide f1.7 aperture, the device captures high quality images in low light environment. This sleek, curved-designed device also includes protection against dust and water (IP68). More than just a phone, this device is complemented with a galaxy of ecosystem, enhancing the mobile experience for users. Now with the unique Blue Coral variant, the Galaxy S7 edge is the trendiest piece of technology that allows us to indulge in life’s adventures yet experience mobile innovation at its best. Spending time with family and loved ones are what truly makes the holiday season special. Nevertheless, picking the best holiday gifts that opens a myriad of possibilities make a merrier festive season! Thanks to Samsung, these aren’t just gifts – they are possibilities. Samsung wishes you a wonderful and happy holidays! Previous : The First AMD Radeon Instinct Servers Revealed!